Your challenge – Major losses . Your opportunity – Turning major losses into substantial savings! By blocking unauthorized vehicle use. Your solution – Geothentic’s Orca vehicle fleet management system! The Orca fleet management system: a simple, efficient and cost-effective solution. Optimize customer service through improved workforce distribution. Improve workforce performance by always directing your customers to the most appropriate resource who’ll assist them quickly and effectively. A fleet management system that’s integrated. To optimize management of your vehicle fleet, our system offers all the necessary components and services, equipment for every vehicle, online management software, hosting and archiving of your operations data. One system, one supplier! 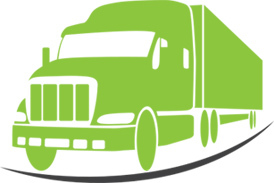 A fleet management system that’s reliable and easy to use. Management of events: start, stoppage, speed, auxiliaries, idling, etc.